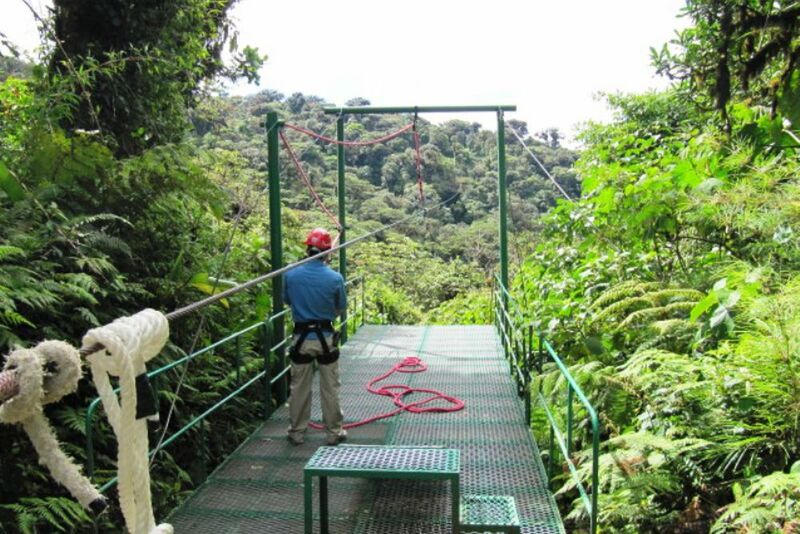 The zipline leads you straight through the trees of the cloud forest. Nothing but green awaits you. From high above the trees, you will see the rainforest from a new perspective. Your ride on the Sky Tram gondolas will be the quieter part of your adventure. Monteverde is one of the most beautiful destinations in Costa Rica. Amidst incredible cloud forests, the rich biodiversity for which this country is so well known cavorts. Would not it be exciting to explore this region from up in the air? Gain a new perspective on the green rainforests: maybe you will discover things that you would not have seen from the ground. Go up high with the Sky Trek and the Sky Tram. 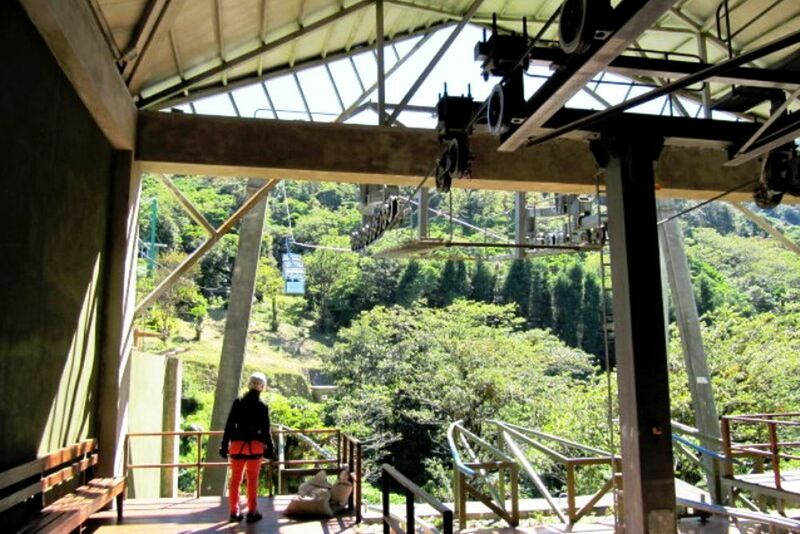 The Sky Tram gondolas glide gently through the rainforest, giving you unforgettable views of the landscape as you work your way up the mountain. This tour is perfect for those who want a different type of exploration tour without much physical effort. A relaxed excursion in large gondolas that caters to all ages and abilities, acommodating of the physically challenged, allows you to reach a height of 1400 \ - 1600 meters. Have you charged your camera? Use the gondola ride to capture beautiful and unique nature spectacles. If you spot something rushing by the trees or rustling amidst the treetops, it's probably one of the **many exotic animals ** in the rainforest. At the top, expect a beautiful view of the volcanoes from Arenal, Tenorio, Maravalles and Orosi, as well as the Nicoya Golf and the golden landscapes of Guanacaste when the sky is clear enough. Your nerves and the urge for adventure are put to the test on the Sky Trek. A series of wire ropes, where you fly through the forest with the Zipline like a bird, is waiting for you. 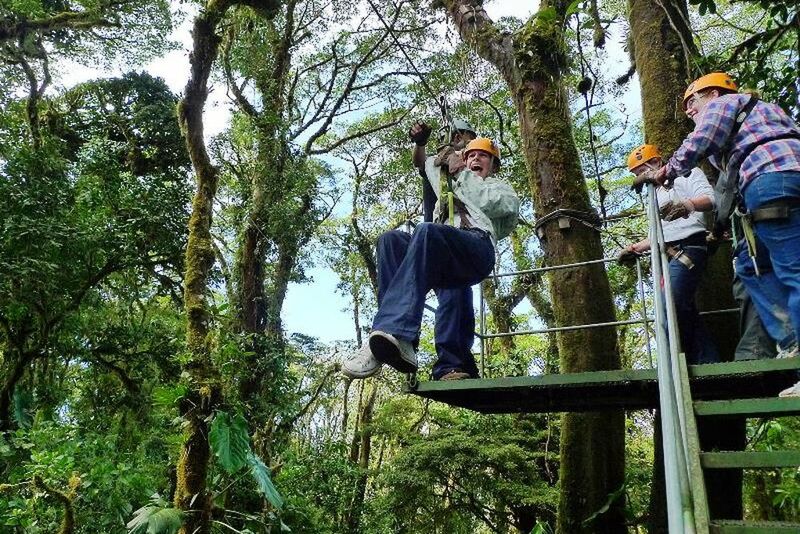 Feel the adrenaline and cool airstream as you fly through the treetops and see the cloud forest from a perspective that only birds do. When it comes to safety, you do not have to worry, because only the latest high quality materials are used so you can experience a comfortable flight through the Rainforest. Buckle up your belt and put the helmet and gloves on, get some momentum and jump from the platform high above the trees. Let's start the fast ride, where you see the landscape fly by in a rush of speed.